This autumn, FIELAX has gathered data for two cable route projects with Marine Sampling Holland (www.marinesamplingholland.nl). 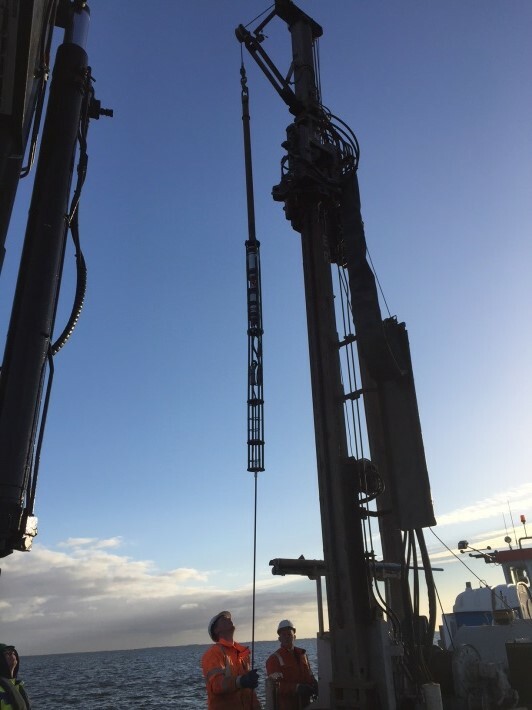 We have measured a total of more than 100 profiles of temperature and TRT (thermal resistivity) data offshore Holland as well as in the Ijsselmeer. As the requirement was high resulotion profiling to a sub-bottom-depth of >6m, special coiled sensor tubes with a total length of 8m were manufactured. These have been successfully used with the mini-CPT. For some shallow-water locations near the shore, the requirement was the high resulotion profiling down to a sub-bottom-depth of 12m. 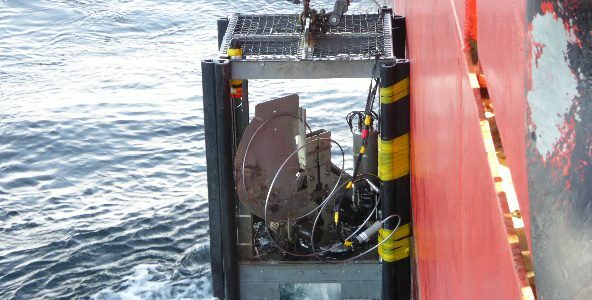 To reach down to these depths, borehole drilling technology from Wiertsema & Partners (www.wiertsema.nl) was used along with a ‘standard VibroHeat’ sensor string (22 sensors, 3,5m length). Five cycles of boring/probing for each location were performed. The resulting overlapping temperature and TRT data were then used to create a combined 0-12m profile. More information about the method and further references can be found at www.fielax.de/en/what-is-heat-flow/. FIELAX reaches new depths: 5432m to be exact!